[By Nick, New for 2014] I have spoken about my love for the Niskayuna Co-op before and they've won me over once again. 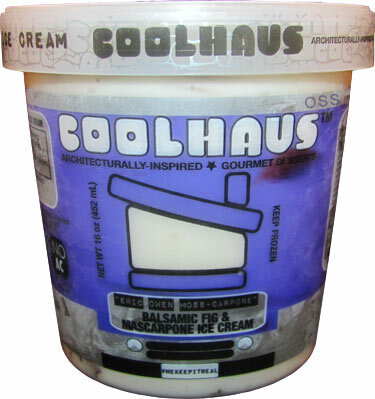 On my latest trip, Damian, the frozen foods manager, pulled me aside and informed me that he had just gotten in a shipment of Coolhaus products. To say I was excited was an understatement. Being the awesome guy that he is, he sent me home with all 4 products for free. Words cannot describe how great this store is to me. If you're not familiar with Coolhaus, they're a company that was started by two women who were making ice cream sandwiches and selling them from a food truck. However, they're not your typical ice cream sandwiches you grew up on. Not only are they gigantic compared to typical fare, they're quite unique in combination as well as their background. With their passion for architecture,they started naming and building their sandwiches after certain architects and architectural movement. And to be honest, these things are works of art in my opinion. Now you can find their sandwiches all over at retail stores and they've recently tried their hand at producing pints and ice cream bars on national distribution level. While Coolhaus is famous for their sandwiches, there's no way I wasn't breaking into the pint of Erin Owen-Meal Moss-Capone first. Ever since I heard that Coolhaus was producing this flavor in pints, I knew I needed to have it. It just sounds so amazing and scary at the same time that it just has to be consumed first! Removing the lid, there's a distinctly cheesy aroma coming from the ice cream. It actually reminds me a lot of the smell of a cannoli. The taste isn't too far off from a cannoli filling either. While it reminds me more of a lightly sweetened cream cheese than a cannoli filling, it's hands down the greatest cheesy base I have encountered. If I thought the goat cheese base from Jeni's was amazing, this is sheer perfection. Heck, Jeni's can't even hold a candle to the flavor coming from the base alone in this pint. Coolhaus' texture and quality is no joke either. This is definitely super-premium stuff rivaling the best in the business. This base alone would be worth the $6.69 the Co-op is asking. That's far from all this pint has in store though. The balsamic glazed figs are utter bliss. Chewy, figgy and slightly acidic from the balsalmic, they're the perfect contract to the cheesy base. I've said it before and I'll say it again, figs need to be utilized a lot more by companies and Coolhaus is showing them how to do it properly. 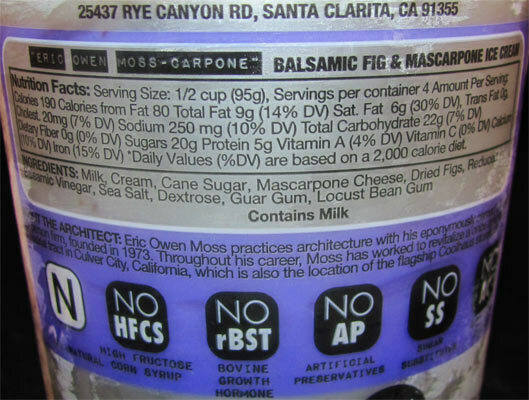 While it's not mentioned in the description, there is a swirl of balsalmic here and there in the pint. Here's a word of warning, don't be an idiot and try the swirl alone like I did. That swirl is beyond potent but when mixed with the base it's perfection in every spoonful. I could rave on and on about this flavor but I'll save you the time and tell you to go seek this one out. If I could manage to make a Top 10 list of every frozen dessert I've had, this one would easily secure a spot. If anything, it's definitely the greatest cheesy flavor I ever had in my life. Even if your skeptical about the flavor combination, it's worth a try especially at the price point. This is craft ice cream done to perfection and priced accordingly so. 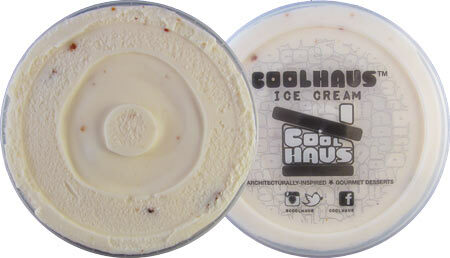 Coolhaus is definitely a brand to watch in the near future and I can't wait to try the other flavors I have! 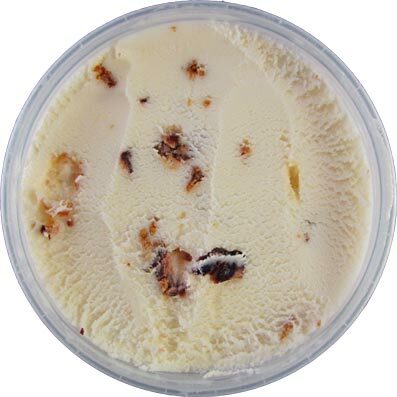 Dubba's Note: I reviewed this flavor in spring 2017 after coolhaus redesigned their pints. Verdict? You need this in your life. Buy Again? Oh goodness yes! I definitely agree! I really enjoyed this one and also thought it was better than Jeni's Goat Cheese and Red Cherries. I know this blog isn't nearly as enamored with Jeni's as I am, and I often find myself disagreeing with certain reviews that cast that brand in a bad light, but I completely understand that flavor's poor score. In addition to a below-Jeni's-standard base, my pint came with almost flavorless cherries. An unexpected disappointment. Claire, the reason I'm not so highly on Jeni's is companies like Coolhaus. They're literally doing the same thing as Jeni's with sourcing ingredients and all that and producing a superior product at a far cheaper price. This flavor from Coolhaus is better than any Jeni's I've had and at almost half the price when it's not on sale. As a business major, I just can't understand Jeni's pricing strategy. They make good cie cream for sure but at over $10 a pint t's not worth it when there are better flavors out there for cheaper. As for the flavorless cherries, that's exactly how mine were as well. No clue on where to get these ice creams. I've never seen it in any of the stores I regular shop at. Do you know where I might find this? Jeff, they just started making pints this year but I know you can find their sandwiches in most Whole Foods by now. They do have a store locator you can try though. http://eatcoolhaus.com/where#where_retailers It doesn't tell what the store offers but it wouldn't hurt to give them a call and find out. I live in Los Angeles and Ive been seeing Coolhause pop up in a lot of the markets in the area such as Gelsons and various Asian Markets. Once you have time Nick, I recommend trying their ice cream bars. Ive only had Mies Vaniila Rohe which is Tahitian vanilla bean ice cream dipped in salted caramel milk chocolate rolled in crushed pretzels. I was blown away and I would easily choose them over Haggen Das bars. Thanks for another great review. Keep up the good work. James, unfortunately I don't have access to the bars. As of right now, the co-op doesn't have the ability to order them but they're trying for me. And thanks for the kind words!